Dr. Scott B. Murphy D.V.M., C.V.L.S. Dr. Scott B. Murphy graduated from Texas A&M University with a Bachelor of Science Degree in 1984. He then was accepted into the College of Veterinary Medicine at Texas A&M and received his Doctor of Veterinary Medicine Degree in 1988. After two years in general practice, Dr. Murphy chose a career in emergency and critical care for ten years, serving as chief of staff at an area emergency hospital for six years. In 1998, he and his wife Jennifer decided to leave their careers in emergency medicine and return to a career in private practice. They opened Arbor Hills Pet Care Center in April 1999. Over the years, they have provided progressive veterinary care for our patients and referred to specialty facilities when the need arose. Dr. Murphy has special interest in surgery and dentistry, spending countless hours in advanced training and education in these areas. He is a life time member of the Veterinary Dentistry Academy (this is the elite 1% of veterinarians in veterinary dentistry). 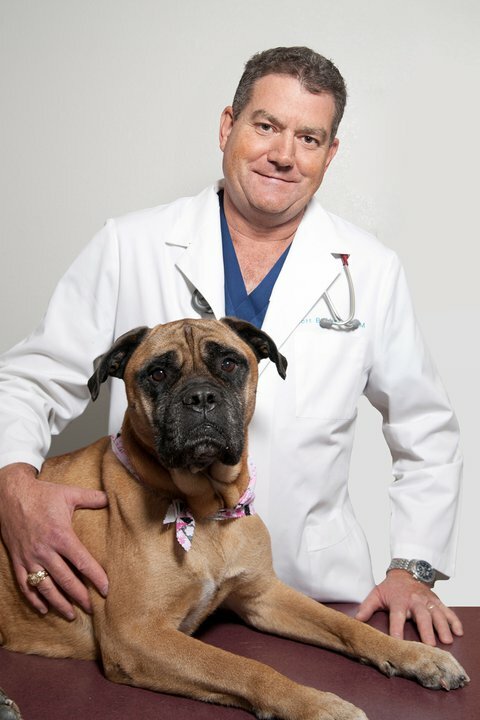 He is currently one of a handful of veterinarians in the area trained to perform the latest osteotomy technique (Cora Based Leveling Osteotomy) for the management of cranial cruciate ligament injury. The Murphy’s are part of the local community and have three children, Amy 26 years old who is a professional pet groomer in Abilene Texas, Austin is 18 years old and a freshman at Texas A&M, and Mason who is 16 years old and a senior at Hebron High School. Dr. Murphy also enjoys flying and has a private pilot’s license. He is also an avid sailor and has his captains license. Jennifer, his wife, is also a puppy raiser for Canine Companions for Independence, and the Murphy’s have raised five service puppies, of which four are currently in service.